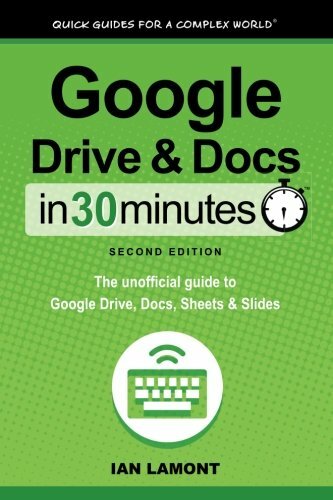 Your Inbox can get pretty busy. 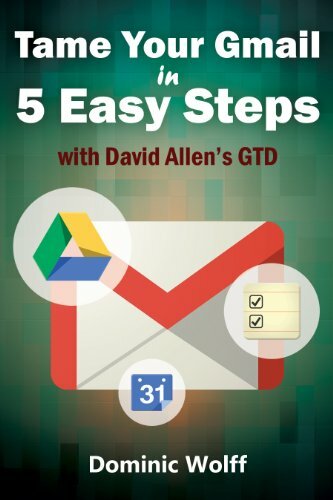 Although a good Email management process such as the 4Ds Email Triage Approach will help you to better manage your Inbox and prioritize your incoming Emails, sometimes you need a way to denote Emails that require “special handling”. 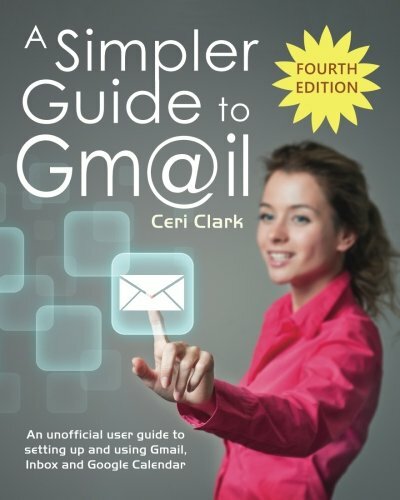 This is where the use of the “Gmail Stars” feature comes into play, which is the Gmail equivalent of the Outlook Flags feature, and works in a every similar way. 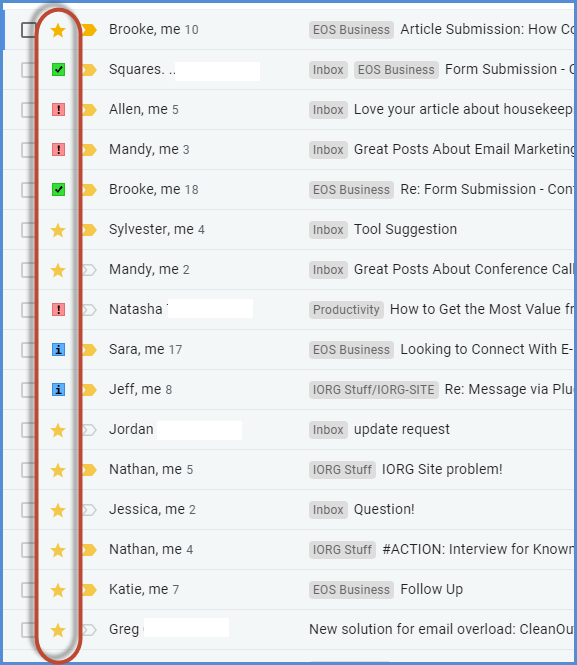 But just as with Outlook Flags, a good use of “Stars” are to mark messages you need to follow-up on, that you have delegated, or that are highly important. And to do this, you need to configure Gmail to use Stars of various colors/shapes that you can assign to these different meanings. 1. Select the “Gear Button” in Gmail. 3. Select the “General” Tab. 4. Scroll-down toward the bottom to the section called “Stars” and you will see any Stars that are already configured to be “In Use”. In this example, we have 3 Stars already configured, a “yellow-star”, a “red-bang”, and a “green-check”. HINT: Just “hover” over the star and it will display its “name” - which you can use later on! 5. You can drag Stars from the “Not in Use” section to the “In use” section to make additional Stars available to your Gmail Inbox. In this example, we are going to add a “blue-information” to our list of available stars. 6. Now we can see that the “blue-info” star is now in our “In use” list!. 7. Make sure to scroll to the bottom of your Gmail Options screen and hit “Save Changes” to make your changes permanent! Just as with Labels, it is best to use a few stars to start with to keep things simple - you can always add on more later if you decide you need them. So, now that we have configured the Stars we want to use, we need to assign them to Emails in our Inbox. 1. Select the “Star Column” to “turn on” the star. 2. Each time you click the star, it will cycle through all your defined Star types. 1. Select the “Star” symbol that is in the top-right of the Email (next to the date). 1. Click the “More options” arrow in the lower-right corner of the window. 2. Move your mouse over the “Label” option and then select “Add Star”. 3. The message you send will now contain a “Star”. 1. To see all your starred messages, click the “Starred” label on the left side of the main Gmail window. 2. All your “Starred” messages will now be displayed. NOTE: You can also search for starred messages by typing “is:starred” in the “Search” box. If you wish to find only specific types of Stars, you can search for the Star by its predefined name. 1. 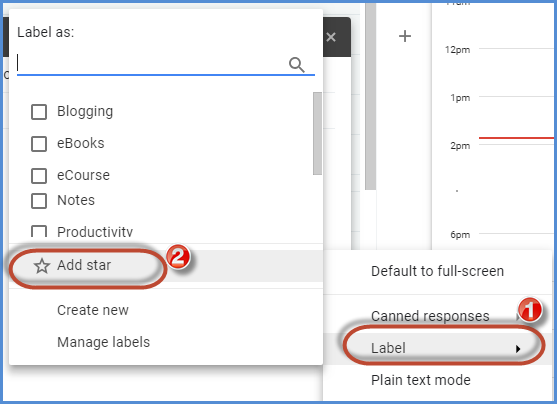 To find the name of a type of star, go back to the “General” and “Settings” tab, hover your mouse over the type of star, and it’s name will be displayed as a pop-up. For example, the Red Exclamation Points are called “red-bang”. 2. To search for just these, you would use the Search “has:red-bang”. 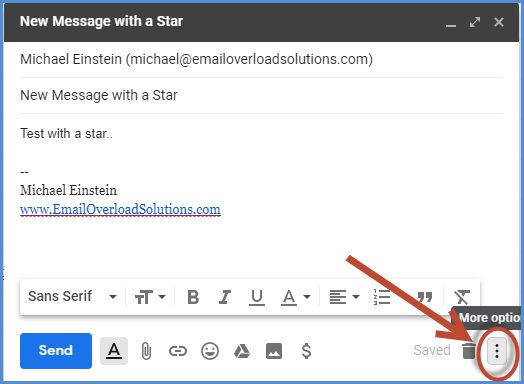 Do you use the Gmail Stars Feature? 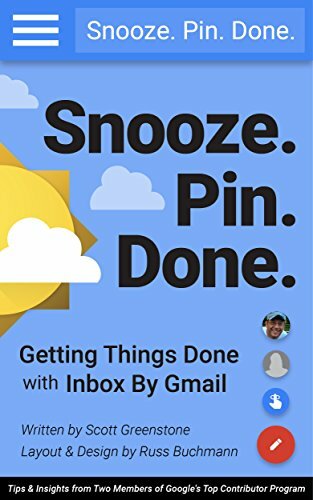 What types of Stars do you use in your Inbox management?